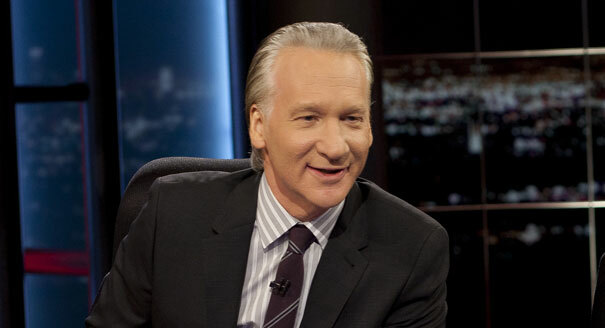 Bill Maher’s recent description of Islam as “the mother lode of bad ideas” predictably generated an endless fusillade of denunciations by patronizing liberals defending the right of Muslims to believe in—what said liberals agree—is utter nonsense. Let me be candid about my position: You can believe in the spaghetti monster all you like, do not ask me to respect that belief. If you are a sane adult, I will defend your right to speak your mind. But I will hold you accountable for the positions you espouse. Do not ask me to treat your beliefs with kid gloves, just because they are religious. Why should religion be treated differently from other forms of irrationality? Liberals’ insistence on “respect” for religion is motivated by fear of backlash (there are 1.6 billion Muslims in the world). This is unfortunate. For if the West has anything to teach to the world, it is that it is necessary to fight your own demons. Put simply, religion is only acceptable in polite society if it adherents do not take it seriously. Or if they do, they keep it to themselves and do not bother us with it. Anyone serious enough about their religion is a drag. In a truly cosmopolitan place, religious people hide their convictions for fear of ridicule. In New York, bibles disappear faster than southern accents. The problem with religion in general is straightforward. It is flat-out wrong. It is wrong for the obvious reason that it was concocted by people who knew next to nothing about the world, about the cosmos, and about nature. We have learned a great deal about the universe since the seventh century. And this advance was only possible because valiant Europeans challenged religious dogma and took on the Church. The war against religion was the decisive turning point in the rise of the West. The reason why Christians are less threatening than Muslims today is that they have been defeated and marginalized. It is the powerlessness of Christianity in the West that makes it more palatable. Imagine a truly evangelical US state bent on imposing the faith on American society and the world at large. The ‘problem with Islam’ pales by comparison. The Islamic world never had a reckoning with religion. Muslims never fought for their emancipation from dogma. This is the root of the problem. In Islam, there is no separation of Church and State: the fusion of political and spiritual is total. Unlike Christianity, which was born outside power and remained underground for centuries, Islam was born fighting. Mohammad and his followers immediately set about taking over the Arabian Peninsula. Under the first four caliphs (632-661), it is most accurately described as a “Jihad-State” that expanded at an alarming rate, subjugating most of the Middle East in a single generation. From the get-go then, unlike other traditions the military-political aspect was not peripheral to Islam; it was absolutely central. For a true Muslim, jihad is not optional: it is obligatory to physically fight for the faith. There are Muslims who claim that jihad refers to ‘personal struggle for improvement’ akin to the German Bildung. It is true that the word is used with two different meanings in the Koran, but it is the military one that is overwhelmingly dominant. Indeed, there is no ambiguity about it at all. There should therefore be no surprise that the establishment of the Islamic State in the twenty-first century is energizing Muslims everywhere. The Islamic world’s brilliant cultural achievements were manifold. The great flourishing of Islamic culture—in Cordoba, in Baghdad, in Damascus, in Delhi—was everywhere, without exception, an achievement that involved a relaxing of Islamic principles. All the great builders and patrons among the Mughals, for instance, were all bad Muslims. Akbar, the greatest of them all, went so far as to renounce the faith. The most pious, Aurangzeb, was uniformly hated in his time and all the way down to the present day. His insistence on an austere version of Islam was quite a drag for the court and for his poor subjects. He was the party pooper par excellence. The second great problem with the Islamic world is the unfortunate fact that the most unimaginative, austere version of Islam flourished in the place with all the oil. For it was not until the seventies when the oil bonanza unfolded in the gulf, that salafi ideology became a formidable force. This was enabled in no small part by Arabia’s central position in the Islamic imaginary. The flow of petrodollars allowed the Saudis to propagate salafi ideology from Morocco to the Philippines. Under the patronage of the Saudis, this viciously literal interpretation has become the hegemonic interpretation of Islam in the world. I mean that in a very precise sense: even those who are too lazy to follow it agree that it is more ideal. That this is the ideology espoused by al Qa’ida and the Islamic State is no coincidence. I got a taste of this myself when my pious grandmother changed her goodbye from “Khuda hafez” (a Persian import) to “Allah hafez” (Arabic version, both equivalent to “may God be with you”): the only name allowed for God being Allah, per salafi principles. The defenders of the open society must remain eternally vigilant against the intrusion of religion in the public sphere. In particular, we have to carefully watch political actors who are routinely tempted to exploit religious identities to rally the public. In the 1940s, Jinnah, otherwise a brilliant atheist, succumbed to the temptation of calling for an independent state for Indian Muslims, who he (wrongly) reckoned would otherwise live under perpetual Brahmin hegemony (the Congress had dismissed the idea of a unity government with the Muslim League after the British exit). His dream for a secular home for Indian Muslims turned into an endless nightmare as leader after leader exploited Islam to secure obedience to the garrison state. Pakistan never really recovered. How could it? It was genetically flawed: Islam was built into the identity of the state. Liberals do a disfavor to Muslims by holding their horses. They need to be more forthcoming in their criticism. Specifically, it needs to be repeated ad nauseam that there is no space for religion in public life. But in the larger scheme of things, it doesn’t matter what talking heads in America have to say about Islam. The Islamic world will have to fight its own demons. Yeah, but how about the mother lode of bad ideas and bad policies called the US. Iraq, Libya and Syria didn’t try to impose occupation or regime-change on the US. Dwell on the problem of Islam all you want, the evil is in DC and Hollywood.